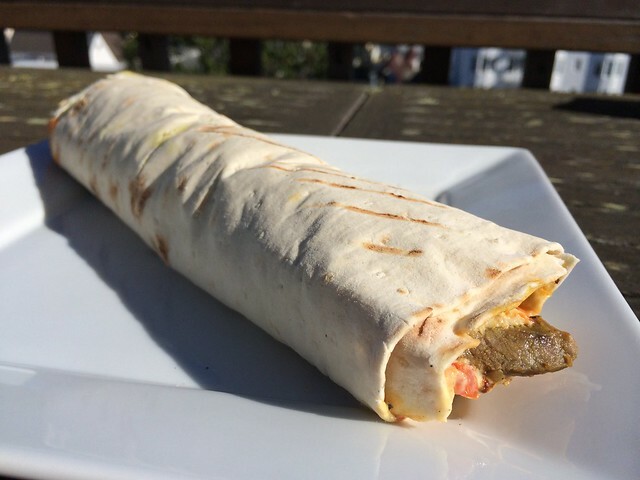 This falafel wrap was definitely not very “super” in my book. 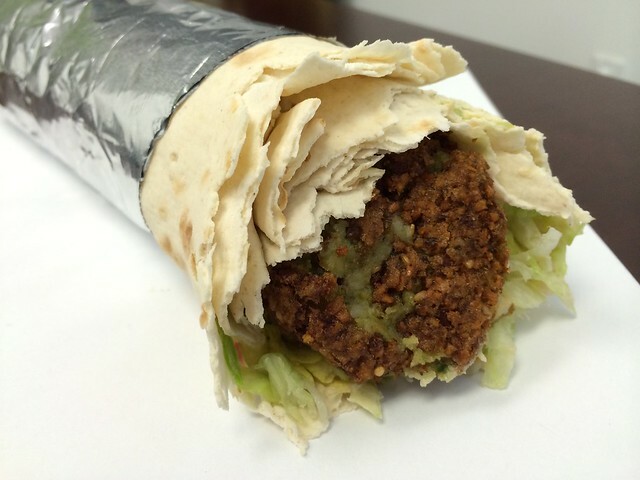 The falafel themselves were ok, but the whole wrap was super dry and boring. 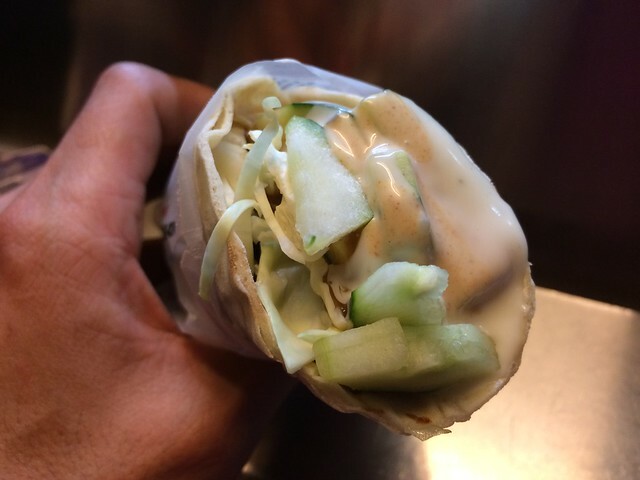 There was way more wrap than filling, and even the filling seemed somehow dry even with the hummus. They needed some tzatziki or have the eggplant mixture more juicy. I was not a fan. 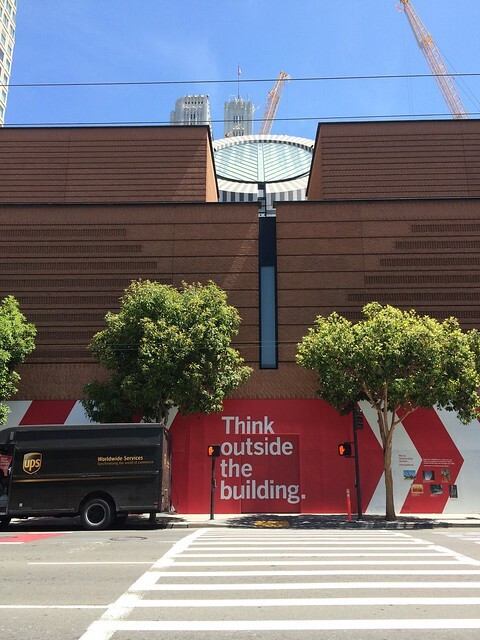 Construction the San Francisco Museum of Modern Art. 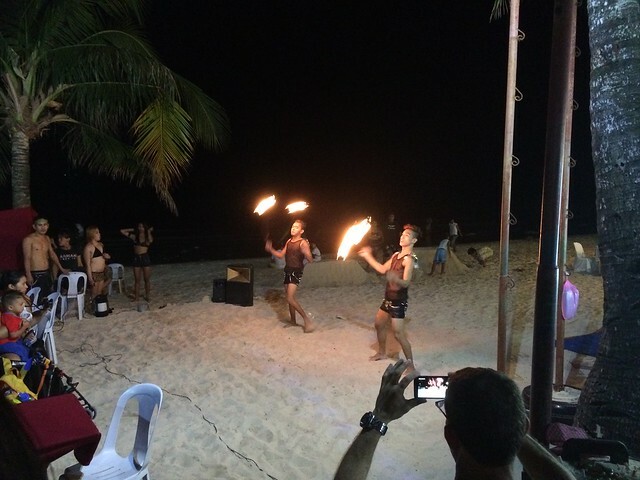 Fire twirlers, Station 2/3 Beach. Wow, this was really good! I loved all the flavors and the pickles were actually a really great addition. 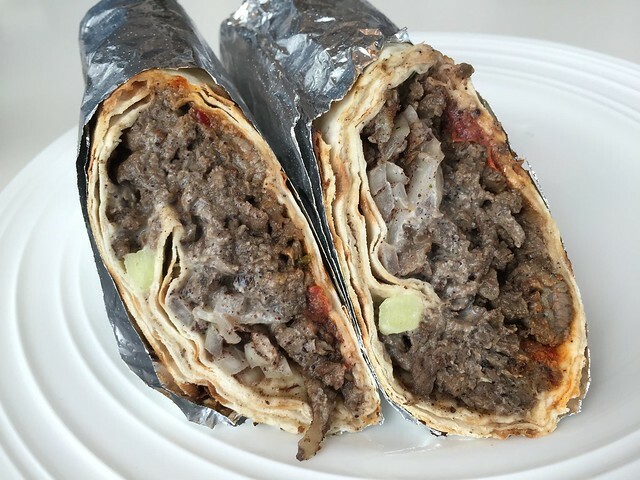 It added a great tartness that I wasn’t expecting in a shawerma sandwich. It was super sauce which I love even though it gets messy eating. Noms! 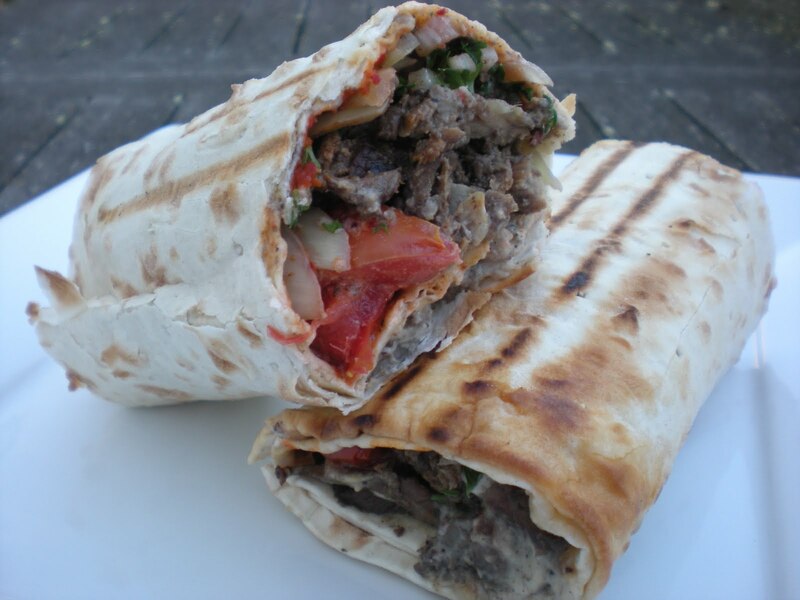 Thin marinated slices of lamb and beef, broiled tomatoes, parsley, seasoned onions, tahini sauce, hot sauce and wrapped in a grilled lavash. 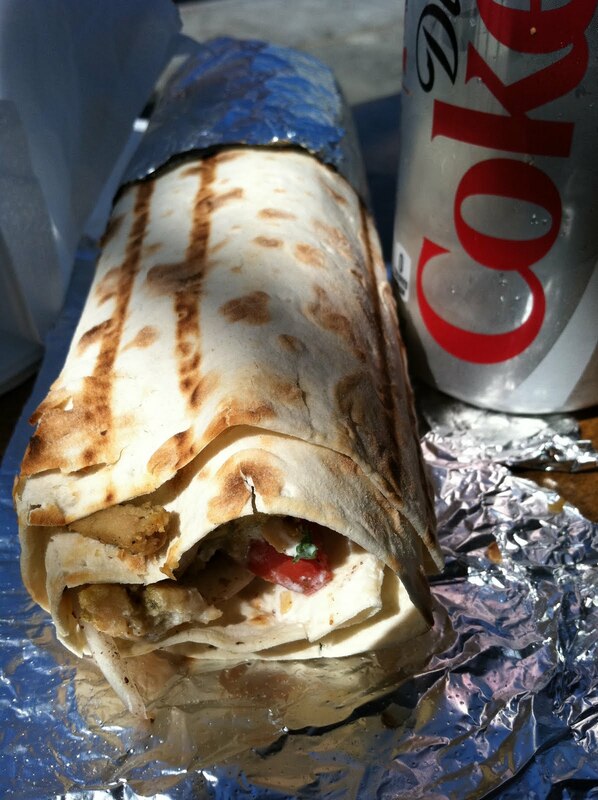 The shawerma at Truly Mediterranean are SO big and SO yummy! The meat is tender and flavorful, and I love the meaty broiled tomato wedges. The seasonings they put on everything is so good, as is the tahini sauce. I always agree to add the hot sauce, but it’s not very hot. So for those who need the heat, don’t expect much. 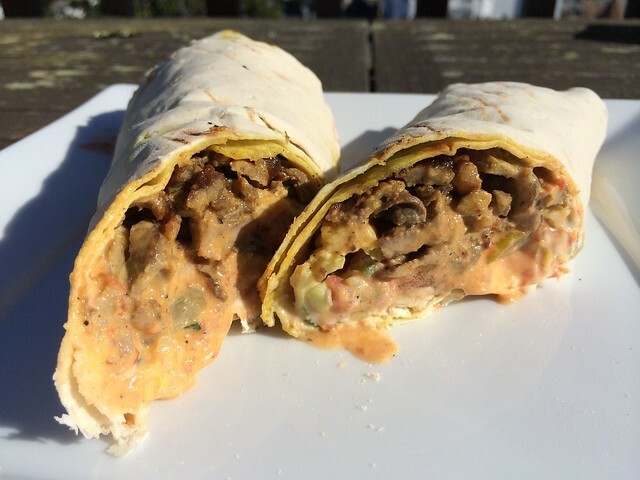 Regardless, this wrap is very delicious and will definitely fill you up. The guys at the 16th Street store are very friendly and helpful. It’s a tiny shop with a stand up counter and a couple sidewalk tables. I don’t go there for the ambiance, I go for the food! Thin marinated slices of chicken, broiled, parsley, seasoned onions, with a garlic yogurt sauce on lavash and grilled.